LAMP is Linux Apache MySQL and PHP application for web servers. 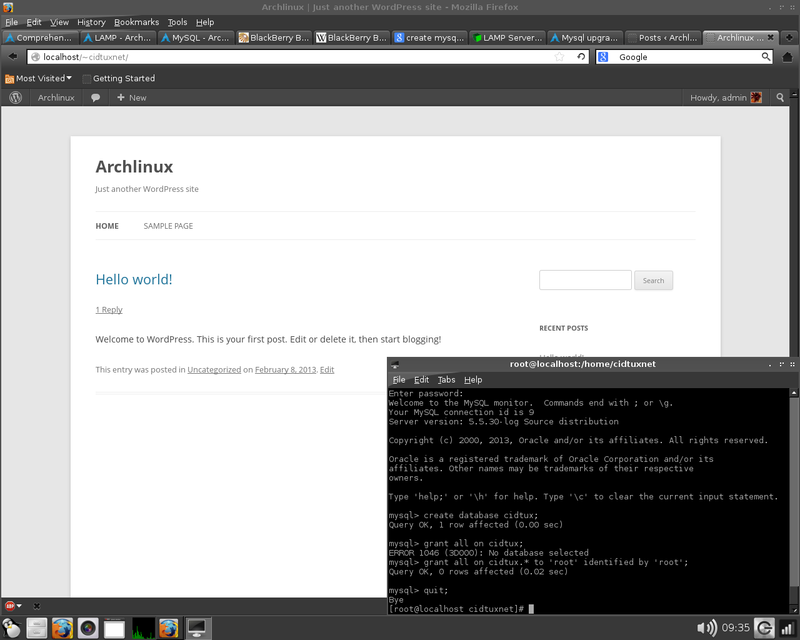 To setup the web server here's my method to running up web server on Archlinux. If you see like this, then the apache is running. Like this. See the bolded text. If don't get the 403 error, and you want to user directory available on the web, just skip it. For this example user of public directory. 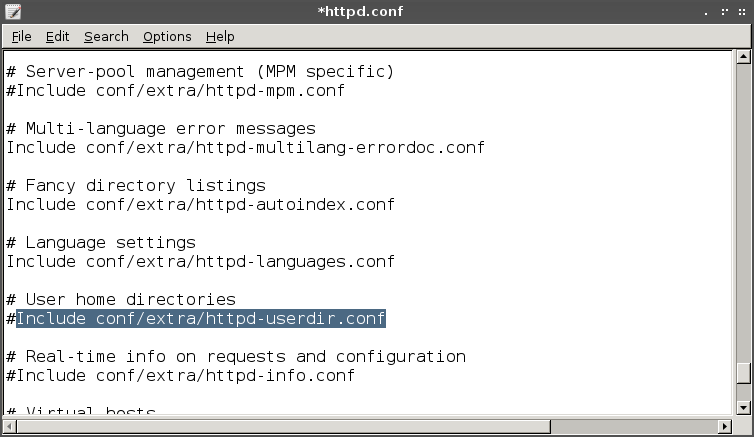 Any file that you want to publish on the web, store on that public_html directories. To see directory. http://localhost/~yourusername/, make sure you have restart the httpd service. Makesure you have swap partition, and activate it. To avoid some "Can't connect to local MySQL server through socket" problems. There are some database test & anonymous user, you can delete it. Okay, next to create database. 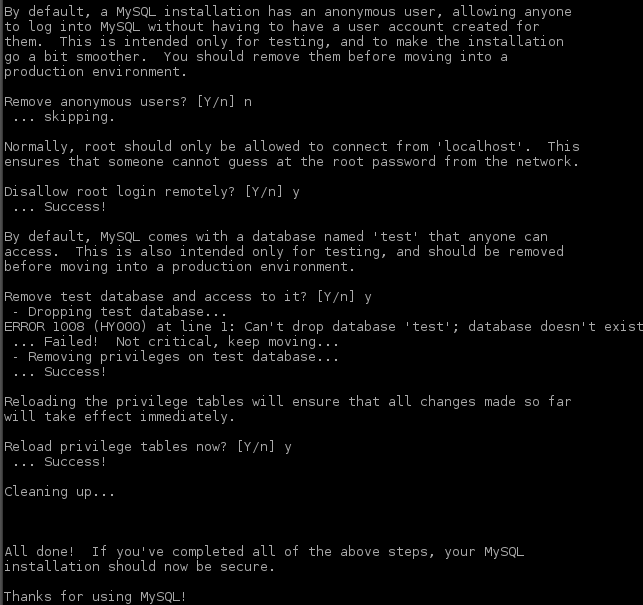 Create database, for this example "cidtux"
type it on mysql shell like this below. Note that the semi-colons (;) at the end of the lines are crucial for ending the commands. OK that's it. Now test on your browser. On this example, i'm running wordpress cms.